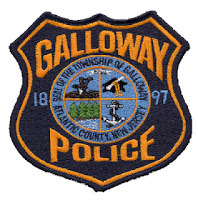 Galloway Township Police are investigating an accident that occurred on July 6, 2013 at 2:50am. A 2005 Hyundai driven by a female from Virginia was driving west on Rt 30. It appears the Hyundai ran a red light at the Bremen Avenue intersection while a Tractor and Trailer belonging to Sysco Food Services and driven by Kevin Martin of Egg Harbor Township was making a left turn onto Rt 30 from Bremen Ave. The Hyundai collided with the trailer of the truck. The driver of the Hyundai had to be extricated from her vehicle by the Egg Harbor City Fire Company. She was then air lifted via Mid Atlantic Medavac to ARMC Atlantic City Campus for serious life threatening injuries. The driver and passenger of the truck were uninjured. The female driver’s name is being withheld do to next of kin notification.